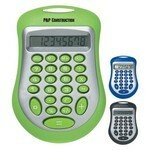 The Expo Calculator has a unique design and is available in bright colors. It has an 8 digit display and an ergonomic product design. Use the Lint Stick to keep your clothes fresh and clean, whether you have just completed a long commute or just before an important meeting. The product features a lint remover on a compact stick that can be easily carried in your pocket or purse. 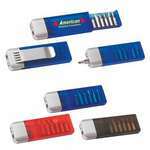 The Compact Tool Kit is an ideal kit that can be used to promote your brand at conventions, workshops, and trade fairs. It comes with a small, medium, and large size Flat head/Phillips head bit. Our customizable companion care kit features minor care first aid essentials and a single logo imprint. 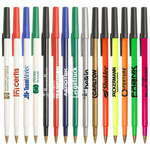 Our custom ballpoint pen features a mix & match cap and barrel color design and a single logo imprint. 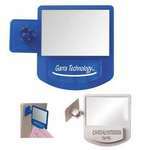 The Computer Mirror Memo Holder helps you to be in ship shape condition, without leaving your desk. 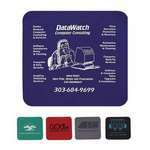 Imprint your company’s logo on the product to gain widespread visibility for your brand. Save your computer, cell phone, and tablet screens from the corrosive effects of dust and scratches, with the computer power sweeper/screen cleaner. 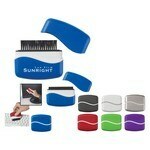 Imprint your business logo on these screen cleaners, to gain maximum visibility for your brand. Our conference ring folio binder has a clear business card holder/calculator pocket and makes a great personalized gift. 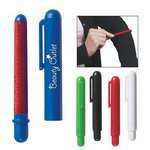 The Consuelo retractable ballpoint pen features contrasting color combinations and smooth rubber grip for writing ease. The Contemporary 8 ½" X 11" Portfolio offers a simple way to promote your brand to a niche audience. It includes a 30 page 8 ½" X 11" writing pad made of PVC material. Imprint the multi-featured, exclusive Contemporary 8 ½" X 11" Zippered Portfolio with your company’s logo, to promote your brand to an elite customer base. Made of PVC material, it includes a 30 page 8 ½" X 11" writing pad, interior pockets, and card holders.